As the Dubai Gold and Commodities Exchange (DGCX) celebrated its 10th anniversary on 21st November, stellar volumes proved to be indicative of the Exchange’s success over the past decade. The Exchange recorded an overall monthly volume growth of 41% vs Nov 2014 and an incremental growth of 23% in volumes on year-on-year basis. Strong Open Interest and diversified growth across its asset classes has contributed to this month’s success with average daily open interest steadying at 96,011 contracts. The newly launched 100 barrel WTI Mini contract has created significant traction and resulted in number of records for the contract, as both daily volumes (Increased by 95%) and open interest continued to grow and was up 108% month on month. Indian Rupee Options has continued to draw appeal from market participants and is reflective in its growth of 84% vs. Oct 2015. 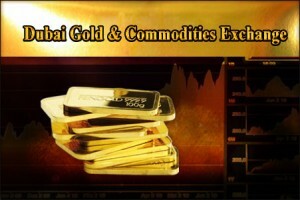 The Dubai Gold and Commodities Exchange said November results continue to support DGCX’s firm standing as the leading derivatives exchange in the Middle East. Responsible for creating a host of major milestones for the region, the Exchange began offering trading opportunities to financial communities and investment houses in both the Middle East and around the globe upon inception in 2005. It set the bar high when it launched the first precious metals derivatives contract in Gold in the same year, followed by the first emerging markets currency derivatives contracts in 2007 with the launch of the Indian rupee futures contract. Product innovation is central to DGCX’s strategy and it is along these lines that the exchange is scheduled to launch Spot Gold contract on 14th of December and also Chinese Yuan Futures on the 18th of December that will provide access to the Renminbi market for DGCX participants. With such projects accomplished and other promising ones in the pipeline, DGCX has truly positioned itself as a global trading powerhouse, contributing to UAE’s economic development in its ten years of existence. On the 19th November, DGCX inaugurated the first chapter of the Futures and Options World (FOW) – Trading Middle East Conference, which brought together more than 200 delegates from the derivatives industry, reinforcing the prominent position that the Middle East now has as a derivatives trading region in addition to global hubs such as London, Chicago and Singapore. The discussions proved that there is huge ambition and enthusiasm to grow in the MENA region, with a large demand for more regional products. Educating the Middle Eastern audience in order to promote growth and maturity of the regional derivatives market is a key pivot to DGCX’s engagement in the region. The Dubai Commodities Clearing Corporation (DCCC), a wholly owned subsidiary of DGCX, acts as the clearing house for the Exchange, also making it the only one in the region with local clearing facilities. As the DCCC aims to enhance collateral mobility and promote cost efficiencies for its members, bullion is now accepted as one of DGCX’s many types of collateral for trading. This is an impressive step forward for the local trading industry, and builds stronger capital market infrastructure complementing the DMCC-Tradeflow mechanism which serves as an electronic inventory and collateral management warranting platform. In current times of economic uncertainty and global volatility, DGCX in coordination with federal and local regulatory agencies like the SCA (Securities and Commodities Authority of UAE), DMCC (Dubai Multi Commodities Centre) and DFSA (Dubai Financial Services Authority) provides a safe, secure, and attractive marketplace to the investors in the region. DGCX owes its success to the unflinching support of its diversified global member base of over 250 members, who have been contributed to the Exchange’s growth. The Exchange has also been awarded and recognized by global forums such as FIA (Futures Industry Association) and FOW (Futures Options World), including the Best Global Commodities Exchange 2012 & 2013 by Global Banking & Financial Review.